Websites follow certain patterns and trends from year to year. What was hot yesterday may be passé today. Some companies not only keep up with the evolution of website design but set the standard. W Brand Studio is a branding agency out of Newport Beach, California. Its client list includes a who’s who of the Fortune 500. They were asked to create a high-end brand for a Long Beach landscaping service. 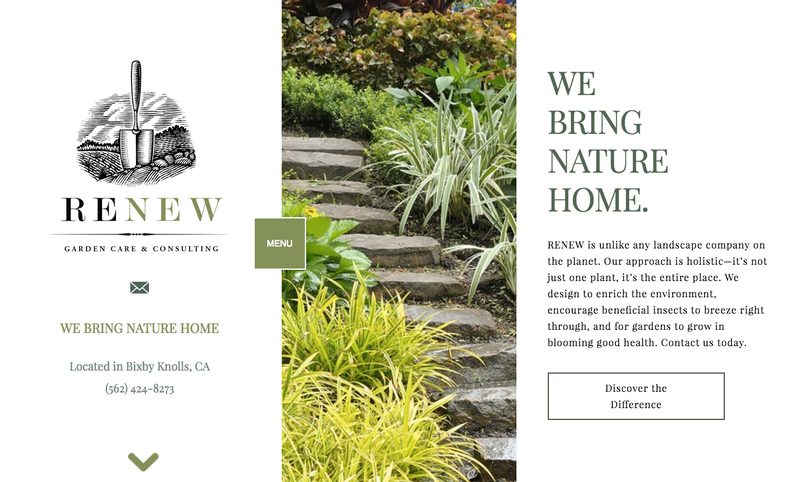 W Brand’s website design for RENEW is simple yet elegant. The copy is sparse but meaningful without all the showy verbiage. And, if you are looking for all the menu buttons in all the usual places, you won’t find them here. The navigation is novel.